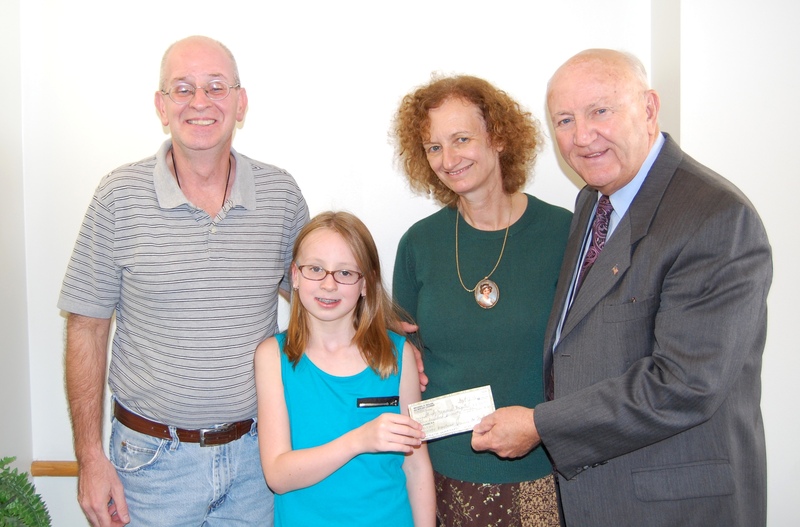 ATTLEBORO, MA, September 26, 2012 – Richard St. Pierre, Lauren St. Pierre, and Jeanne Nolan present a check for $500 to Kevin Poirier, Sturdy Memorial Foundation Director of Development. The money was raised through a dinner, which included entertainment, held recently at the Knights of Columbus Hall. Lauren St. Pierre, a fifth grader at Coelho Middle School, planned the event with her sitter, Jeanne Nolan as well as her father, Richard and other family members and friends. Lauren was inspired to support local cancer patients because her aunt, Janet St. Pierre, passed away from cancer. The money was raised for Sturdy’s Oncology Department.